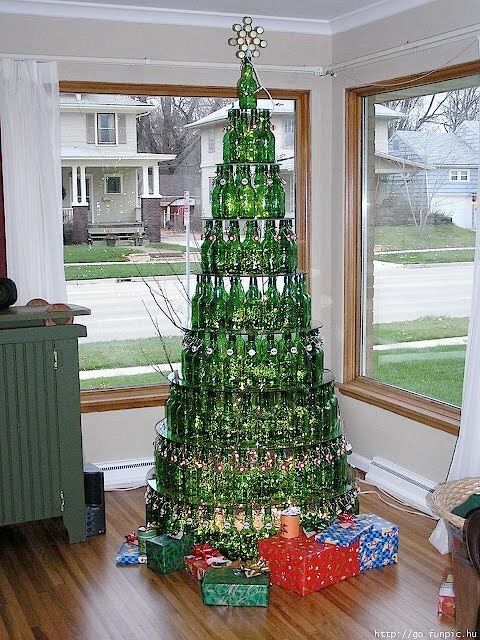 With Thanksgiving snugly under my belt, my focus quickly turns to the next holiday... Christmas. The holidays are a time of indulgence, excess, and unfortunately waste. Lots of waste! Throughout the months of November and December household waste increases by 25 percent, adding up to an additional 1 million tons a week to our landfills. That was just one of the mind-boggling facts on holiday waste that I stumbled upon on RecycleWorks.org. 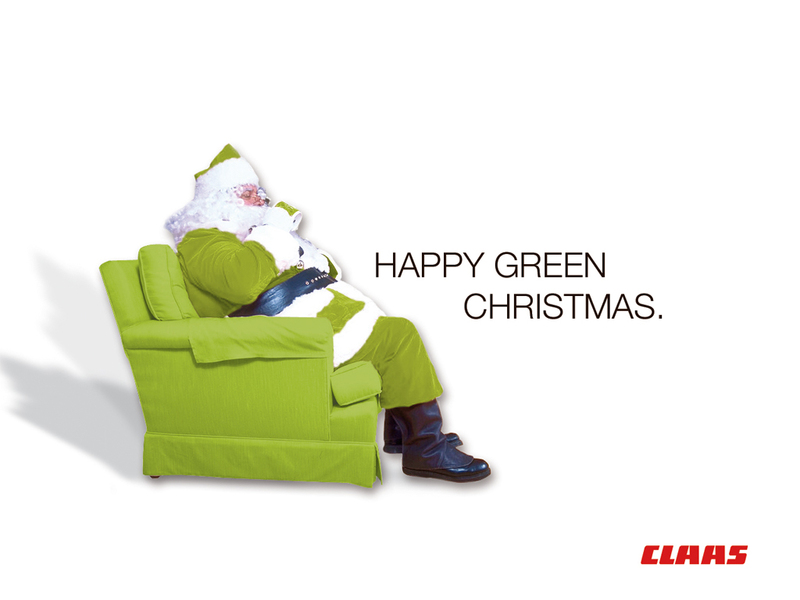 After reading about all the obscenity come back and check out these links for ways to green your holidays. Earth Easy gives a great rundown on how to have a green Christmas, from buying less and buying smart to holiday lighting and choosing a tree. The National Christmas Tree Association gives a side by side comparison of real vs. artificial. Keep in mind that the source is the National Christmas Tree Association - they promote the use of real trees. The Great Debate: Real vs. Artificial Christmas Trees at scientificblogging goes into more detail. 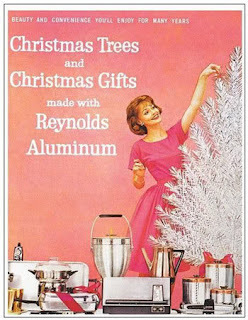 Of course you could skip the great debate and get yourself an aluminum Christmas tree - totally recyclable! As for what goes on the tree, be it real, artificial or aluminum, Great Green Goods has some sources for fun recycled Christmas ornaments. If you are the crafty type, a little imagination and leftover materials are all it takes to make your own. When it comes to what is under the tree, Eco Child's Play suggests you get creative and go DIY with your holiday wrapping. 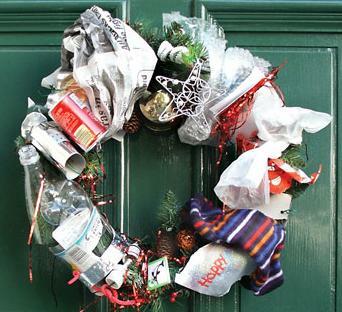 For those lacking DIY gene, they also give a list of eco-friendly wrapping you can purchase. If you wish to skip wrapping paper altogether, head to the library and look for the new book The Wrapping Scarf Revolution. And finally, to play off of yesterday's post Antiques aren't just for Grandma anymore, think outside the big-box when it comes to sources for holiday entertaining. Antique and thrift stores are great resources for holiday decor and table settings, as demonstrated by Thrifty Chicks $4.61 place setting. handmade is great for gifts but better if you aren't buying a lot of supplies to make them but using supplies you already have. Buying local handmade, from craftsfairs or markets, is good, etsy is next best. Second hand gifts are awesome, things you already have or buy at a thrift shop or sale. I personally like giving food items even if I buy the supplies, at least it produces almost no garbage or waste:) Also good is donations to "good works" or environmental organizations. Love the thrifty chicks link! We hit our local thrift store on Black Friday and they were wiped out. Are people finally getting the genius of reuse? And I totally agree with knitting woman. Check out your local thrift store for yarn, fabric and other supplies. Ours sells oodles. It's cheaper and better for the environment. I like to share this regional re-use for Christmas trees. Our local ice fishing clubs pick up trees off the curb (where we place them for disposal) and use them to mark "trails" where the ice is thickest on the lake. Daisy, that's an interesting use for Christmas trees that I had not hear of. Do they take them back off the lake before the ice melts or let them sink to the bottom in Spring? We stick ours outside after Christmas and let the birds live in it til Spring. I like to hang pine cones covered in peanut butter and seeds on it. Then it gets hacked up and added to the compost pile.